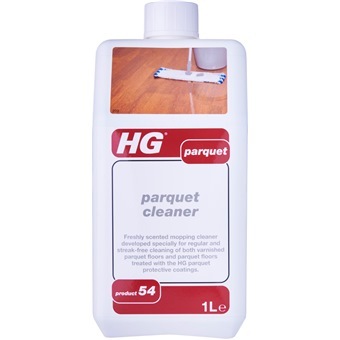 HG parquet cleaner (p.e. 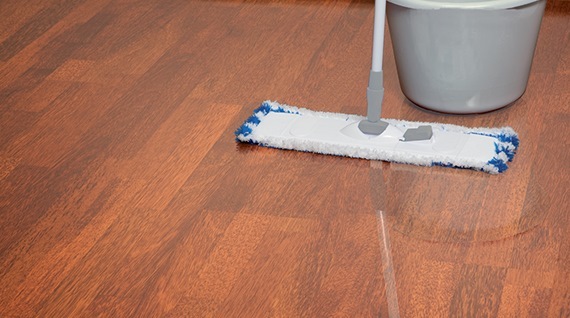 polish cleaner) (HG product 54) is a freshly scented mopping cleaner developed specially for regular and streak-free cleaning of both varnished parquet floors and parquet floors treated with the HG parquet protective coatings (HG product 51/52). Dissolve 100 ml (a cup) in half a bucket (5 l) of lukewarm water.